Quality Striping is a leader in the striping industry in Iowa and the surrounding areas. QSI can meet all of your pavement markings needs from a parking lots to large DOT projects. QSI offers a variety of pavement marking options including epoxy, thermoplastic, waterborne, and tape. Between our commercial and highway divisions we provide top quality markings at a competitive price. 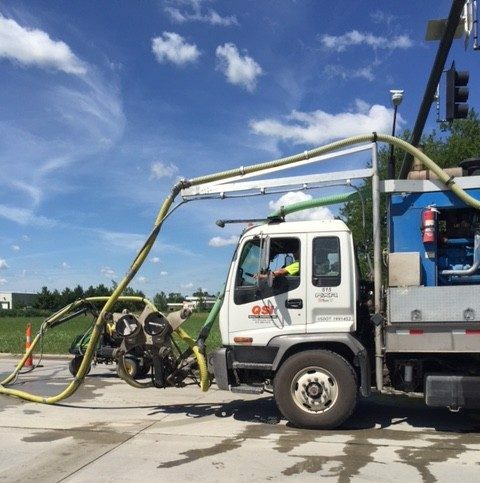 We have up-to-date equipment to complete our jobs including waterblasters and grinders for pavement marking removal. We are well versed and comply with the latest edition of the MUTCD and DOT specifications. To help QSI stay current on industry standards we are members of various industry organizations including the AGC of Iowa, ATSSA, APAI, and ICPA.